On Thursday, a 13-year-old boy with attention deficit hyperactivity disorder (ADHD) and autism managed to get behind the wheel of an ambulance in Coventry, Rhode Island, taking it for a joyride and crashing it into a motorcyclist. According to a recent report by the Boston Globe, Coventry officers received a call around 8 p.m. Thursday from the mother of the unidentified teen, who described her son as "excited and unsettled." The mother and her child were parked along Route 117 when officers arrived at the scene. The police took the woman and her son to Central Coventry Fire Station #7 to evaluate the teen. In a video released by the police department Friday, the mother and child are seen arriving at the fire station in a police car. The boy can then be seen running into the garage bay after stepping out of the police cruiser. Several officers then follow the boy. Shortly afterward, an ambulance is seen being driven out of the garage, hitting one of the parked police cruisers before driving across Route 117. According to reports, the teen locked the ambulance's door. 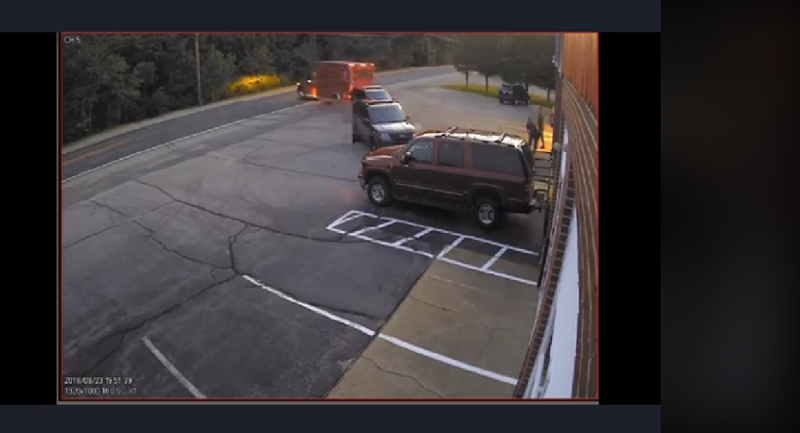 Scott Brown, a Coventry firefighter, tried to enter the ambulance through the passenger door but ended up hanging from the side of the ambulance and being dragged across the street. The ambulance then crashed into a motorcycle traveling eastbound before rolling down an embankment into a wooden area. In the video, Brown can be seen crawling toward the motorcyclist after the collision. The police department also released a second video of the collision taken from the motorcyclist's helmet camera. In a Friday statement, Coventry Police Colonel John MacDonald said that the teenager, the motorcyclist and Brown all sustained minor injuries and were transported to a local hospital following the collision. The motorcyclist was treated for a broken finger on his left hand and has since been released from the hospital. "We are grateful that this incident did not result in serious injuries or loss of life," MacDonald said in the Friday statement. The incident is currently being investigated by the police and fire departments. According to MacDonald, the boy will most likely not face any charges. "For all the first responders involved in this incident, it brings into acute focus the challenges that parents, care givers, and children experience when dealing with autism and other disabilities," MacDonald said. "It also reminds us of the difficulties our officers and firefighters face when assessing and treating individuals who suffer from mental health disorders."